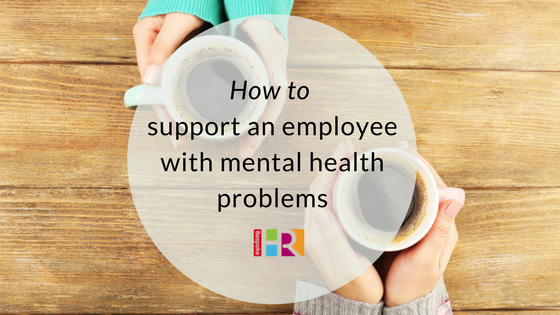 How do I know if an employee is experiencing a mental health problem? Changes in the way they interact with colleagues, perhaps becoming withdrawn or increasingly irritable and impatient. A noticeable decline in their quality of work and a general disinterest in what they are being asked to do. They may be struggling to make decisions, appearing anxious when asked questions, or unable to cope with simple tasks which once would not have phased them. A change in physical appearance, they may look tired or have lost interest in their appearance altogether. Changes in eating habits, eating considerably less or more than usual. Campaigns like Time to Change have been launched to reduce the stigma of openly discussing mental health issues. The most important thing you can do as an employer is open the dialogue; avoiding the subject will only make it worse for an employee. Start the conversation: whilst it may not be easy, addressing the issue is the first step in supporting your employee. Choose a quiet place, possibly away from the workplace, where they feel comfortable and able to talk. Most importantly, assure them that your conversation will be confidential. Ask simple questions: don’t make assumptions about what’s happening to them. Give them the opportunity to discuss their feelings without making any judgements. Asking simple questions to understand the issue will mean that they don’t start to feel overwhelmed. Be honest: if their work is starting to suffer, make sure you communicate this and make them aware of the impact stress is having at work. Reassure them that you will work together to address this, and that this is not a disciplinary. Create an action plan: establish what support they need, what would make their time at work easier and how you can work together. Identify what triggers stress, what can be done to alleviate this, and agree on a timeline to review the situation. Be flexible: don’t attempt a ‘one-size-fits-all’ approach as everyone is different. Be positive: reassure your employee that you can work together to find the solution. Don’t be afraid to seek outside help: there are many organisations who can support you (the employer) and your employee (see below). It is your duty to protect your employees’ health whilst at work. Prevent all employees from being subjected to bullying or harassment. Implement a bullying and harassment policy for all employees and ensure any such incidents are treated seriously. Develop an equality policy and promote awareness. Ensure employees are not discriminated against on recruitment, promotion, pay or conditions. Flexible working policies: these are particularly useful for team members juggling family commitments, but can help with staff who may be feeling anxious or stressed at busy times in the office. Enforce breaks: encourage staff to take comfort and lunch breaks to get away from their desks. Layout of the office: introduce quiet zones or desk dividers if appropriate. Keep records of absence: record all sick days. We support SMEs with all aspects of their HR. Check in with one of our CIPD qualified Consultants regarding a current HR issue you may be experiencing or get an initial steer on any strategic HR projects that you may be planning. We’d be happy to hear from you! Mind has a series of guides for employers on supporting staff. CIPD factsheet: line manager’s role in employee well-being.